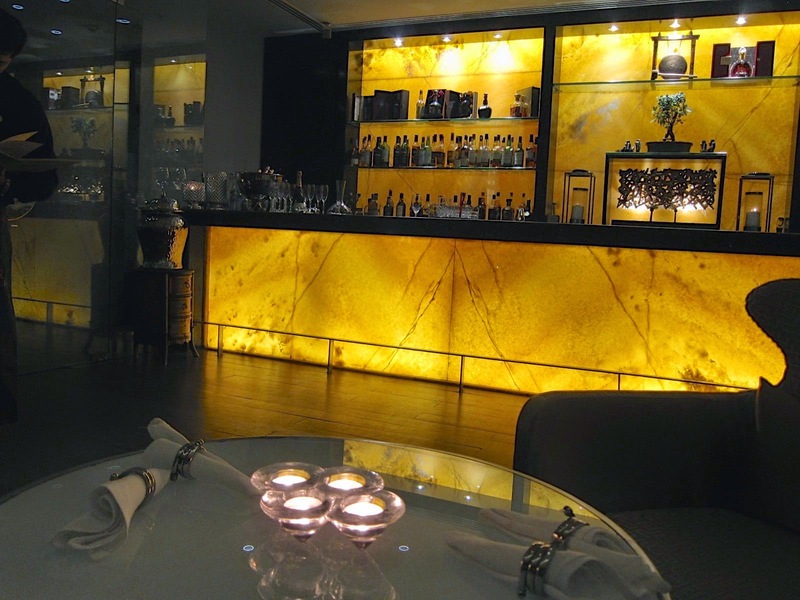 The Maurya in Delhi has a new restaurant. Most first time visitors to this grand hotel venture into one of the two iconic Indian restaurants here, Bukhara ord Dum Pukht. However, I have been here several times, and had eaten at Bukhara only recently. Therefore, it was a pleasant surprise to find a new Asian restaurant that had taken the place of My Hunble House on their rooftop. 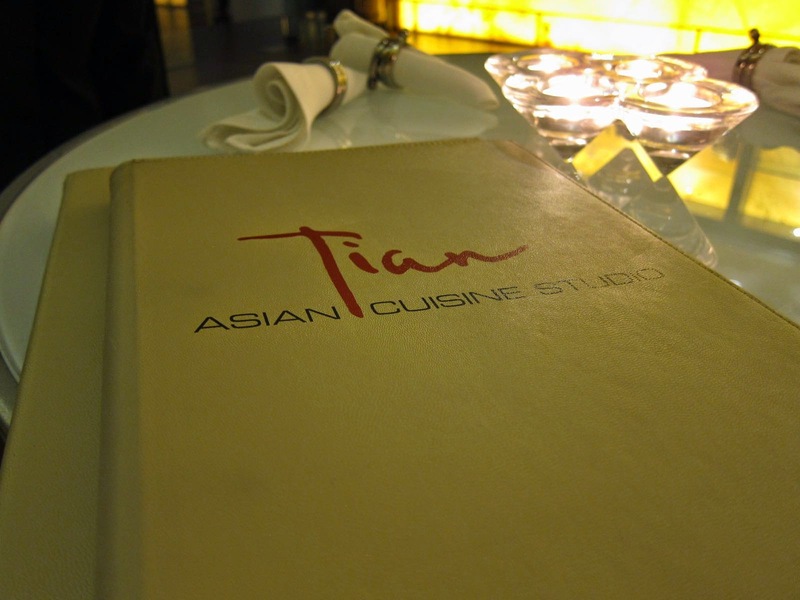 Tian is chef Vikramjit Roy’s canvas for a modern take on oriental cuisine. While the cuisine is cutting edge, the loud and busy lounge setup somehow did not work as well for me. 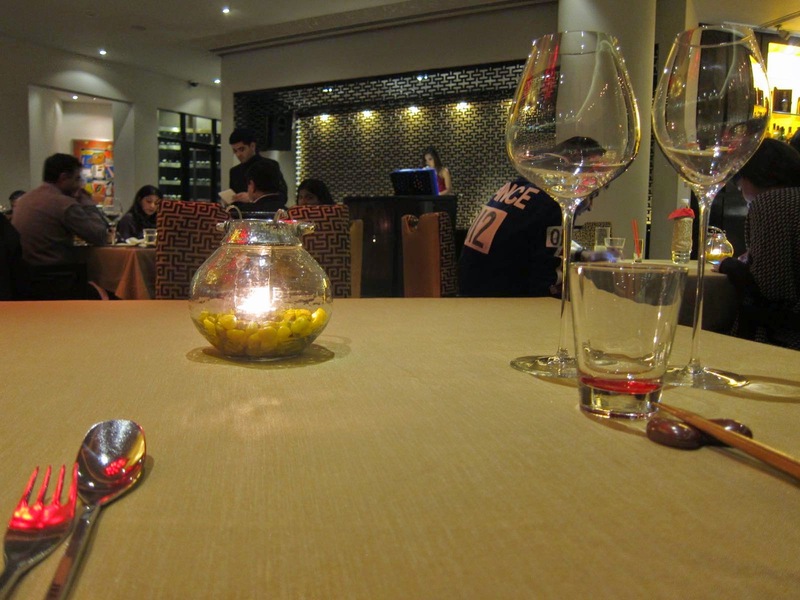 I would have liked a more quieter and less casual atmosphere to be a better pairing for the food on offer. The food itself was pretty interesting. 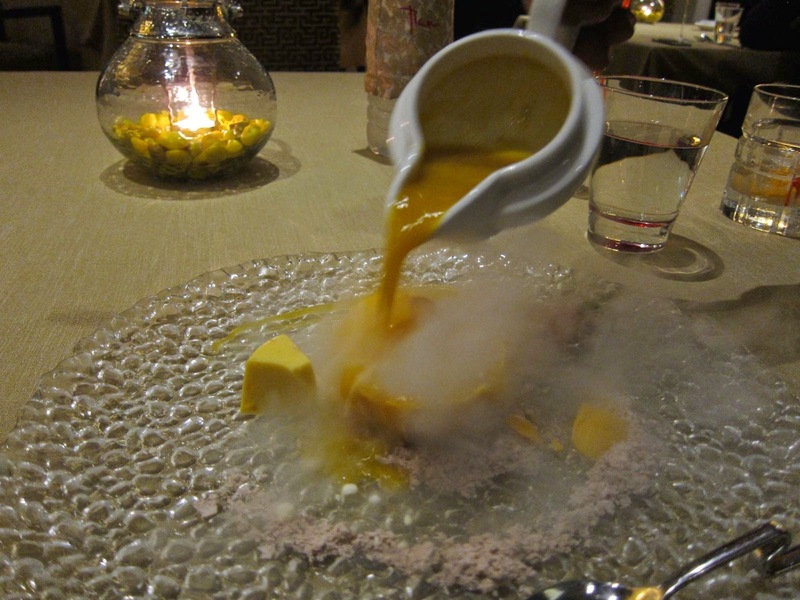 While Roy uses techniques of molecular gastronomy made popular by the likes of Ferran Adria and Grant Achatz, he uses them with a light hand, making sure he blends in enough classical tastes and textures for the more staid Delhi patron. I had started off with a cocktail called Marco Polo, made of single-malt whisky spiced with star anise that was actually quite good. It was mild and had a nice after-taste of orange. I was shown to my table indoors where there was a pretty girl with oriental features singing pop hits from the 70s and 80s. They have an outdoor section in the terrace too which may be more appropriate for date nights; the indoor was a little noisy, busy and most tables had families and groups of men spending a some time together. I chose a multi-course prix fixe menu called Trailer 3. 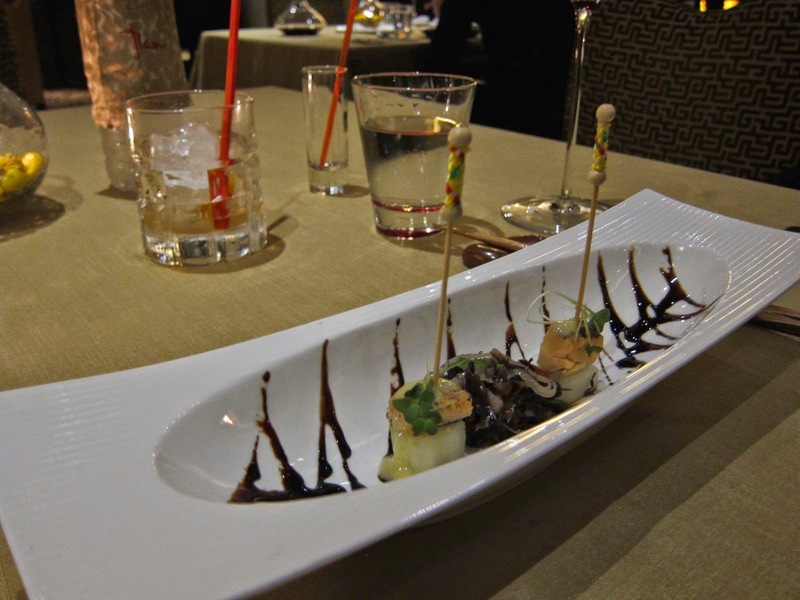 They promptly brought out a 3-piece amuse bouche for me. 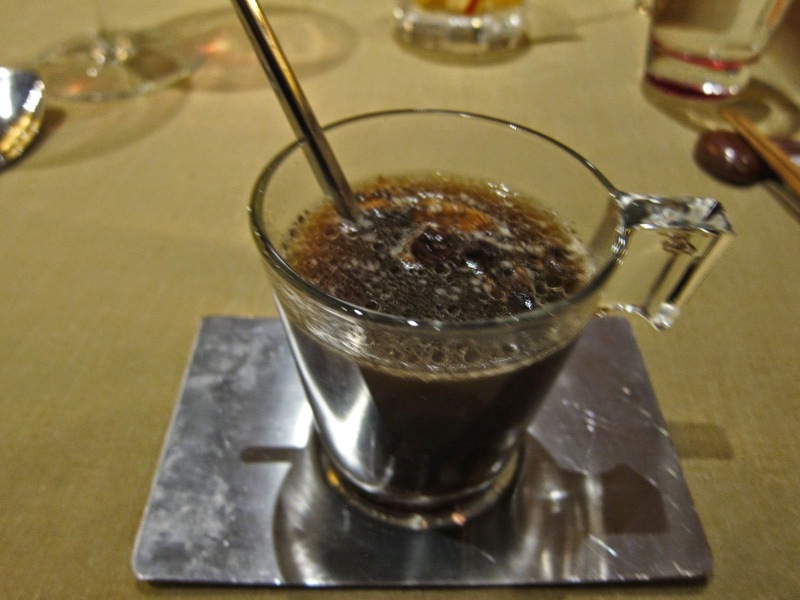 There was an early demonstration of molecular gastronomy in the freeze-dried ‘powder’ which turns into ‘smoke’ when it touches the warmth and wetness of your palate. 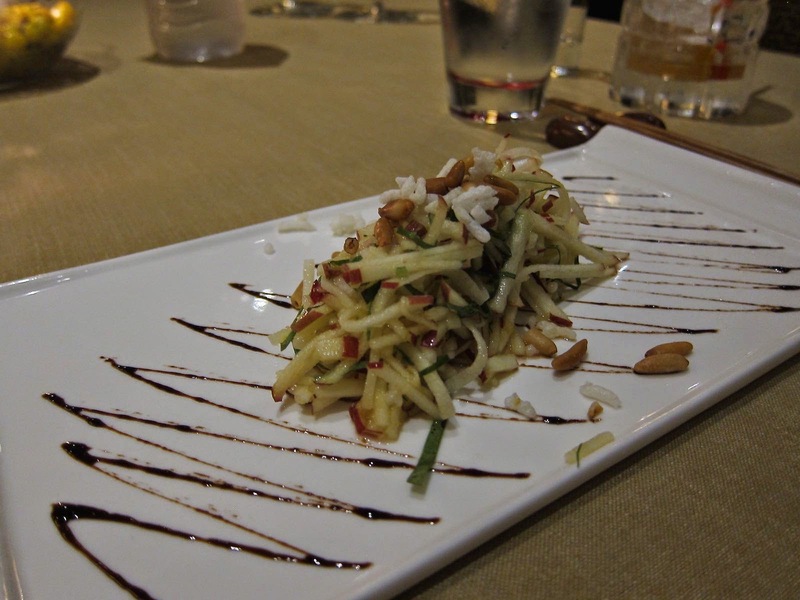 The first course was Californian Apple Salad, made of grated apple with betel leaves (paan), roasted pine nuts and dehydrated rice. This was a fantastic start with each bite pleasurable; the fresh crunchiness of the apple melded really well with the paan and tangy-hot taste of the reduction. The Grilled Baby Lobster with smoked chilli pepper came next. 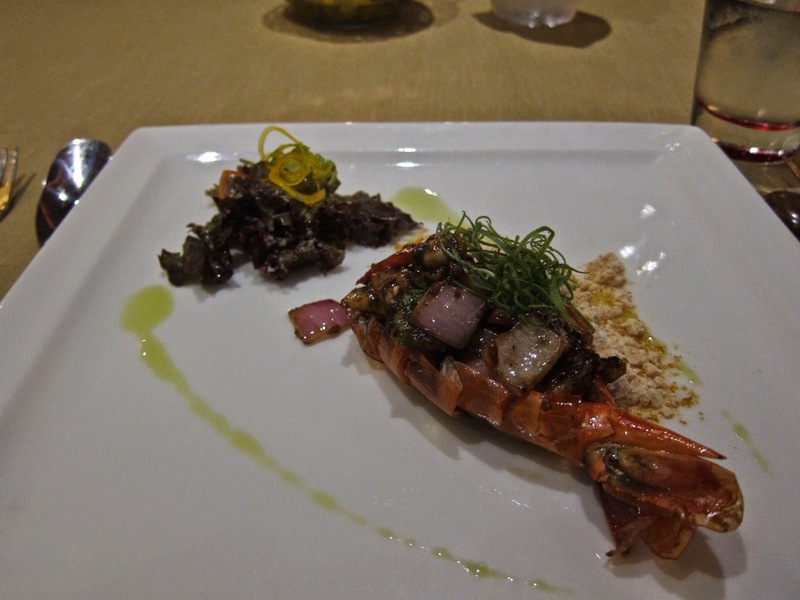 The spicy chunks of lobster with onion made for an intensely flavorful dish. The Sichuan ‘powder’ again generated smoke from the mouth. They followed up with a lettuce palate cleanser. 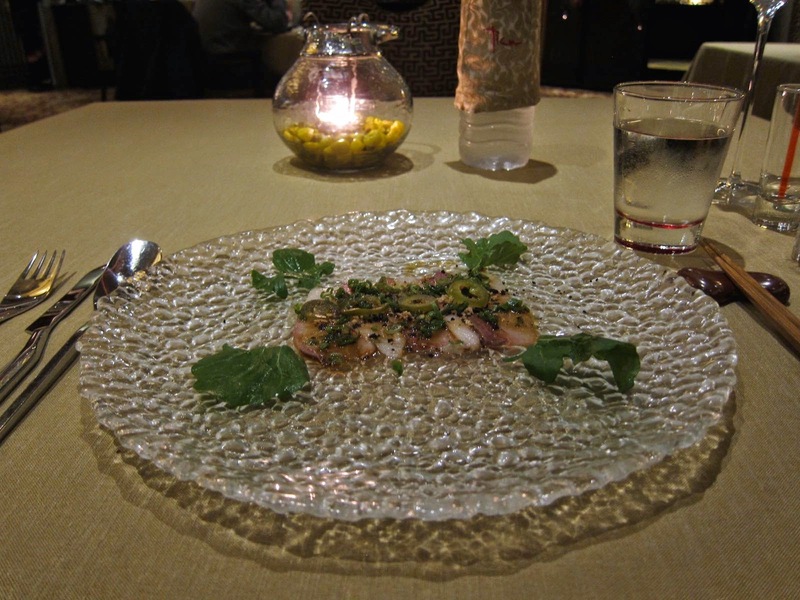 Next came the Yellowtail Carpaccio, which was clearly Japanese inspired, followed by a Celery and Chilli Infused Chicken that was a wonderful medley of tastes. This hot and spicy dish must be quite a hit with the locals. The Jasmine Tea Smoked Salmon was more delicately flavoured and served with a tangy reduction. Until now the dishes had been flowing in quick successful keeping pace with my eating. Now, they decided to give me a little more time for the next few courses. 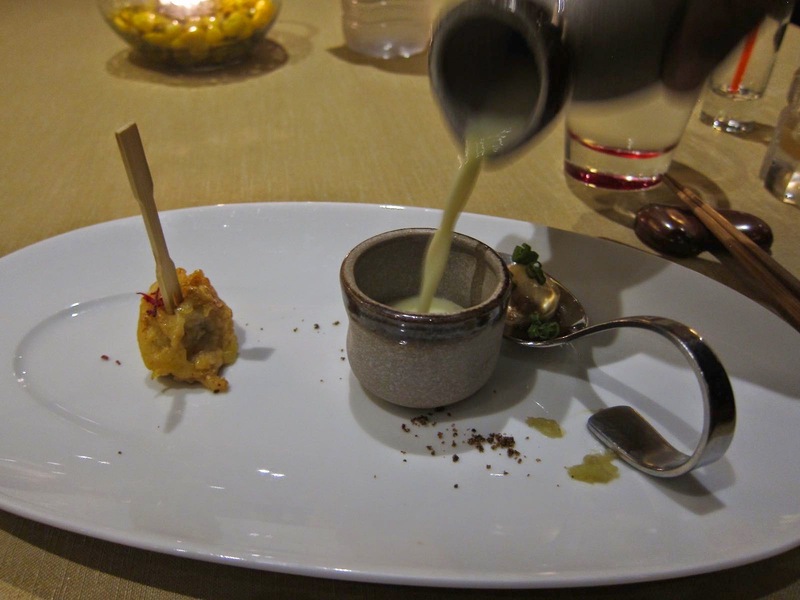 The mushroom soup with its Earth theme was meant to wow with its presentation. 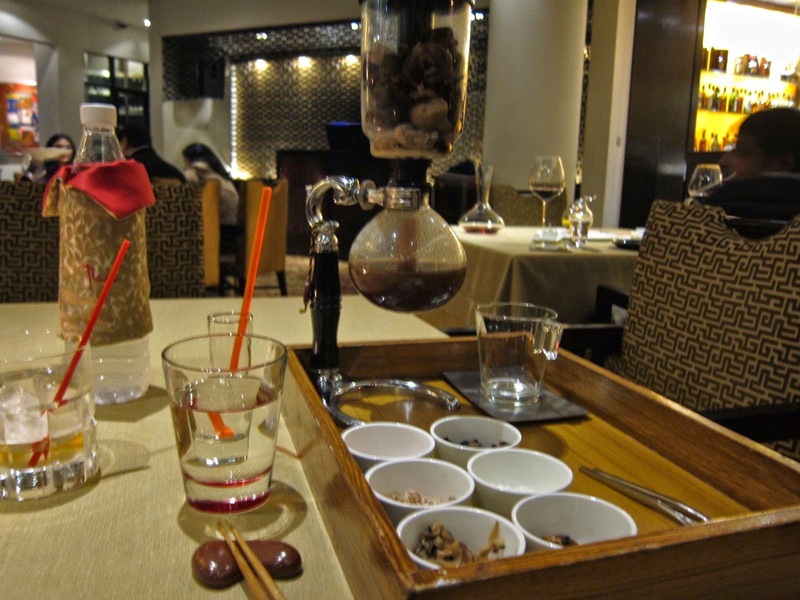 The soup was crafted table-side from an apparatus out straight out of a medieval doctor’s laboratory! Mushroom and truffle oil dominated the tastes. The taste itself was satisfying with the rich earthy flavors, but the dehydrated ingredients didn’t work too well for me since they were more chewy on the palate than I like. Another palate cleanser came up, this time of wasabi and yuzu lime with the now familiar ‘smoke’ generating freeze-dried powder. The next course was Sea Bass served with organic vegetables which was pretty good and had a more conventional taste and texture. It was good to see the chef not going overboard with his cutting edge techniques here. 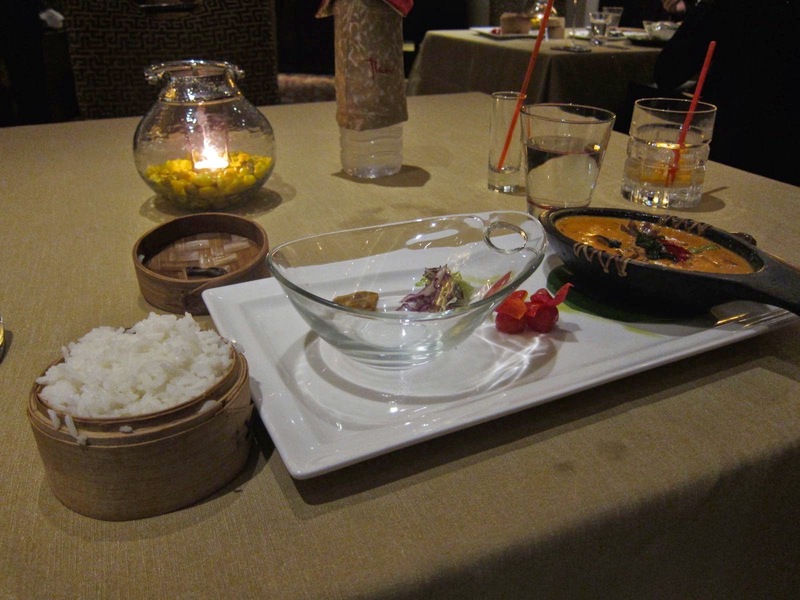 The Duck Red Curry was fabulous, the pineapple slices and the thick curry working really well as the final savoury dish of this ample dinner. I was too full to enjoy the desserts. They had served something called Mango Mango Mango - a three way preparation of India’s moved loved fruit. 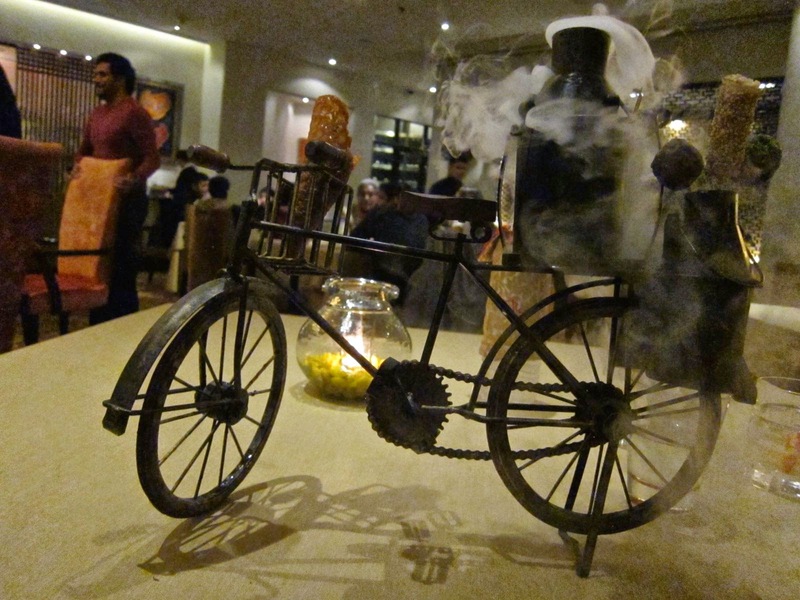 What I liked better was the lovely presentation of their petit fours in a ‘bicycle’ that appeared at the very end. 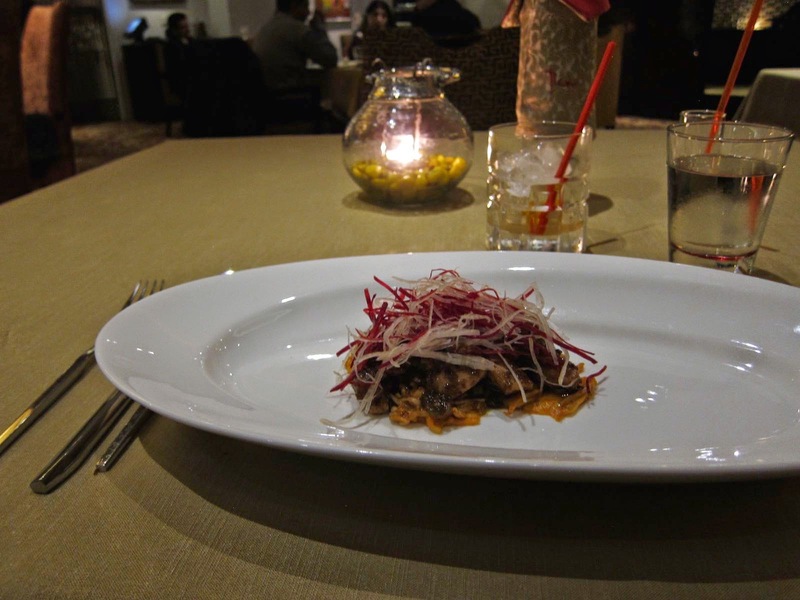 Overall, this was a fantastic change from the run-of-the-mill five-star Asian restaurant. 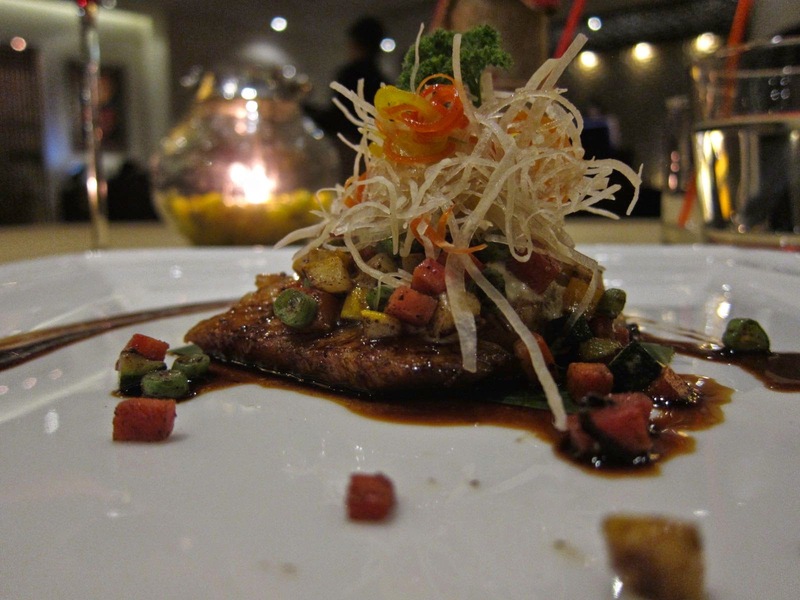 A deserving addition to this well-known destination for top-notch dining in Capital City.